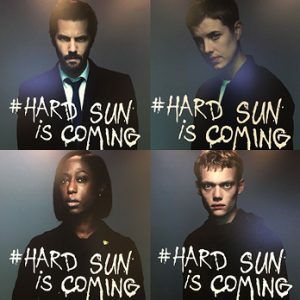 Hard Sun is a six-part drama for BBC One and Hulu written by internationally acclaimed, BAFTA and Emmy-nominated Neil Cross, creator of Luther. This original series is a pre-apocalyptic crime show set in contemporary London. Charlie Hicks and Elaine Renko are detectives who, while investigating a murder in the inner city, stumble upon proof that the world faces certain destruction – in five years. It’s a terrifying reality that the British government is urgently trying to suppress. The pair must use every bit of their ingenuity to protect themselves and those they love. When the classified dossier is made public, the government quickly discredits the story as a hoax and fear largely subsides. But the story never entirely goes away. "What is interesting isn't the end, it's the transformational narrative, it's about our profound ability to love and protect one another." Hard Sun is still out there – in a thousand online forums, supported by conspiracy theorists and the dispossessed on the fringes of society and the internet. And as the murderers, the abusers, the serial killers, the cult leaders start to come out of the woodwork, it’s up to Hicks and Renko to take them down. But what does justice mean in the face of Armageddon? 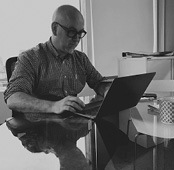 The series is directed by Brian Kirk (Game of Thrones, Great Expectations, Luther), Nick Rowland (Ripper Street) and Richard Senior (Poldark, The Last Kingdom), with Hugh Warren (Thirteen, Call the Midwife) producing. The executive producers are Kate Harwood and Neil Cross for Euston Films and Elizabeth Kilgarriff for BBC One. Professor Brian Cox is the series’ specialist advisor.